We are Chartered accountants, so we look after a great many businesses of all different sizes, shapes and types. 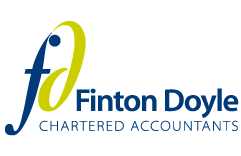 Whether you’re a sole trader with a fledgling startup or a large company with a multi-site operation, your team of dedicated professionals at Finton Doyle will help you to make your business life as stress-free as possible. First and foremost, we look after the compliance issues – making sure what has to be done gets done, when it’s supposed to be done. We also look after those issues that crop up from time to time, whether it’s a visit from the taxman or a problem with the bank, we will always be there to give advice and support. But we don’t stop there. We also offer a full range of support services to make your business life easier, taking away the hassle and strain of running your business. And we will sit down with you and help you map out your business’ future to help you turn it into a successful enterprise. Find out how we help companies just like yours.